Be the doers of word do not just listen it.I want to remind you again that the mission of this little volume is to teach you how to live. The life beyond depends on the life here. Let me emphasize what I have repeatedly said before: to live as we should, we must live by every word of God. To live by every word of God is not only to hear it but also to do it. We have learned that, in order to enter the city of God and eat of the tree of life, we must do his commandments, and also that it is not "every one that sayeth, Lord, Lord, that shall enter the kingdom of heaven, but he that doeth the will of my Father which is in heaven." Now I will read you a text from the Epistle of James, "But be ye doers of the word, and not hearers only, deceiving your own selves." We are living in a careless age. The Word of God is being treated with neglect. Many are hearing it, but alas! how few are doing it! In this way people deceive themselves. They think they are on their way to heaven, when they are not. The only way to heaven is by doing the commandments. To illustrate this, I will refer you to a few texts. "If thine enemy hunger, feed him." Rom. 12:20. "Whosoever shall smite thee on thy right cheek, turn to him the other also." Matt. 5:39. "And as ye would that men should do to you, do ye also to them likewise." Luke 6:31. If it comes most natural for us to live according to these texts, we can begin to conclude that our hearts are right with God. However, we must have a heart that does not rebel against any text in the Bible. We are exhorted earnestly by the apostle Peter to make our "calling and election sure." 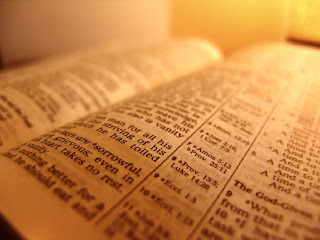 The only way to do so is to live to every word of God.Oh, my dear reader, those sweet hopes you have had of reaching heaven and of seeing Jesus and those dear loved ones who have gone before you to that other side will never be realized by you unless you be a diligent doer of the Word of God. I feel like warning you against all carelessness and neglect, and to keep yourself in the love of God. See that your heart and life reads each day as the Bible reads, and you will then have an unshaken foundation for your faith and hope. If you would know how to live and make the best of life, read the Bible much and conform your life to its teaching.